A major concern of both e-cigarette opponents and vapers has always been the amount of nicotine delivered by electronic cigarettes. How much nicotine do you actually inhale when vaping? Is it more than what you get from a traditional cigarette, do users risk an overdose or, even worse, nicotine poisoning? Ovale, one of the world’s largest e-cigarette companies, has recently commissioned a study hoping to find the answers to these questions. According to a study conducted by Artista, an independent American laboratory which specializes in tobacco emissions and constituents testing, electronic cigarettes deliver three times less nicotine than tobacco cigarettes. Although details are yet to be revealed, we know Ovale provided one of their most powerful e-cig models, the popular “Elips”, and a high nicotine content e-liquid (16mg/ml) for the required tests. For months, the scientists at Artista Laboratories studied the e-cigarette vapor, measuring nicotine levels and comparing them to those in tobacco smoke. They used an ISO standard smoking machine and analyzed its filters to determine the compounds in e-cigarette vapor and their concentrations. Results showed that for every 10 inhaled puffs the e-cigarette delivered an average of 0.3mg/ml nicotine, while the same number of tobacco smoke puffs contained 0.9mg/ml nicotine. There is still no mention of this study in the American media, but it’s been doing the rounds on Italian news sites for over a week. I guess we will just have to wait for a press release from either Ovale or Artista to get more detailed information. Another major concern regarding electronic cigarettes is the quality of the juice. The MHRA in Britain announced they have decided to regulate e-cigarettes as medication by 2016, after they found e-liquids did not meet public health standards, and a recent study found a number of popular e-liquids contained up to five times the impurities commonly found in nicotine medication. 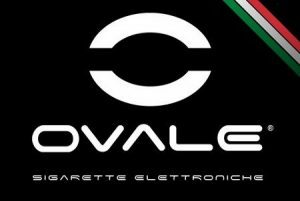 Following a series of reports in Italian media concerning the presence of heavy metals (cadmium, arsenic, led and chromium) in e-liquid, Ovale asked scientists at the Federico II University in Naples to analyze its e-liquids and report their findings. Marco Trifuoggi, professor of analytical chemisry at Federico II examined the samples and announced the presence of heavy metals like the ones mentioned above can be excluded up to the limits of detection. The same goes for organic solvents, chlorinated volatile organic compounds or chloroform.